Invite your friends and for every one who purchases you’ll receive up to 10,000 points toward your next purchase. There’s no limit to the number of friends you can invite so start sharing today! Home Market Deals qualified members can earn points toward future purchases by inviting friends who join and purchase. 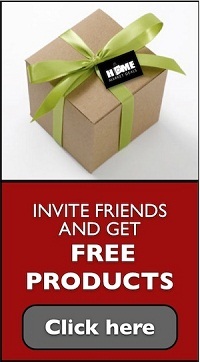 Referrals follow the link provided in their email and fully register a membership with HomeMarketDeals.com. Once a referral makes a first purchase from Home Market Deals (a "Qualified Referral"), Home Market Deals will provide the Referring Member with up to 10,000 points (determined by price of purchased product) ,to be used in accordance with the terms of Home Market Deal’s rewards program. A Qualified Referral is defined as the successful FIRST purchase at the www.HomeMarketDeals.com site (the "Site") by a person (a "Referred Subscriber") who has not previously purchased an item on the Site and who arrives at the Site via the Invite Friends Program link ("Personal Link") in their personal invitation email from Home Market Deals. 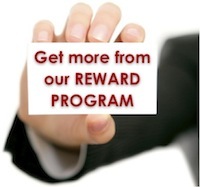 Only one Qualified Referral can be earned for each Referred Subscriber. 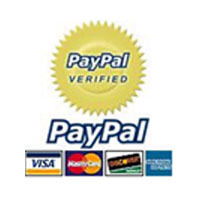 Any additional or subsequent purchases made by a Referred Subscriber at the Site will not be Qualified Referrals. Referral links will be issued only within the Referred Subscriber's personal email invitation or Facebook invitation from HomeMarketDeals.com. The individual who clicks through their referral link will be considered to be the "Referring Subscriber" for all Qualified Referrals made using that Personal Link. A Referring Subscriber cannot refer him/herself using the Invite Friends program. Qualified Referrals must be billed successfully. Once a referral purchase is successfully processed, the Referring Subscriber will receive up to 100 points. Bulk email distribution, distribution to strangers, or any other promotion of a Personal Link in a manner that would constitute or appear to constitute unsolicited commercial email or "spam" under any applicable law or regulation is expressly prohibited and will be grounds for immediate termination of the Referring Subscriber's account. The amount earned for Qualified Referrals is subject to change by Home Market Deals at any time without advance notice. All points earned will be deposited into the Referring Subscriber's Home Market Deals Account and will be subject to the terms and conditions of HomeMarketDeals.com. HomeMarketDeals.com, expressly reserves the right to close the account(s) of any Referring Subscriber and/or Referred Subscriber and to request proper payment if the Referring Subscriber has earned points fraudulently or uses or attempts to use the Invite Friends program in breach of these Terms and Conditions or in violation of any statute or governmental regulation. HomeMarketDeals.com will have no obligation to pay any referral fees if it determines that the Referring Subscriber or Referred Subscriber have violated these Terms and Conditions. HomeMarketDeals.com expressly reserves the right to recoup any credits paid based on referrals which are determined not to be Qualified Referrals or as a result of fraudulent activity on the part of the Referring Subscriber or Referred Subscriber. These remedies are in addition to any remedies that HomeMarketDeals.com may have under the terms and conditions of the Site. HomeMarketDeals reserves the right to cancel the Invite Friends Program or to change these Terms and Conditions at any time in its sole discretion.